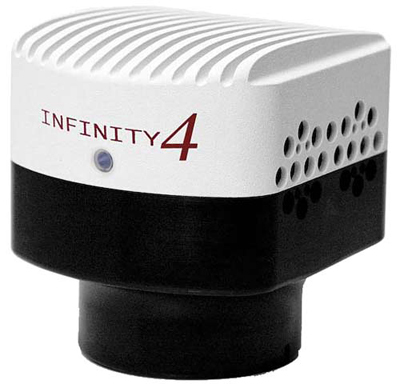 The Lumenera INFINITY 4-11CB and INFINITY 4-11MBCCD cameras use the Kodak 10.7 Megapixel KAI-11002 sensor to provide superior color or monochrome reproduction and dynamic range for high-end scientific and industrial applications. They are ideal for clinical pathology, cytology, histology, life science, and geology applications (e.g. – Brightfield, darkfield, POL, DIC, phase contrast, Hoffman, reflected and transmitted microscopy). All models come with the basic Infinity CAPTURE and advanced Infinity ANALYZE image analysis software packages. We also offer more application specific advanced software packages.